As well as the recent Abel Prize award to Karen Uhlenbeck, here are some other mathematical and related awards from this month. TV maths legend and UCL-based mathematician Hannah Fry has been awarded this year’s IMA/LMS Christopher Zeeman Medal, which aims to recognise and acknowledge the contributions of mathematicians involved in promoting mathematics to the public and engaging with the public in mathematics in the UK. Named after the late Professor Sir Christopher Zeeman FRS, whose Royal Institution Christmas Lectures on mathematics in 1978 were a shining example and led to the development of their mathematics and engineering Masterclass programme, the medal will be awarded at a ceremony to take place in 2019, where Dr Fry will also give a lecture. 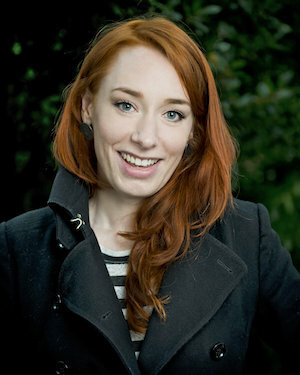 Hannah Fry’s dedication in promoting mathematics to the widest possible public has not only done untold good for the subject, but has provided a powerful role model for mathematicians, most especially female ones, making mathematics feel more relevant, more humorous and most of all more human. Her spectacular success in an otherwise notoriously difficult endeavour may be ascribed to a unique and enviable set of characteristics. First, she has an uncanny instinct for spotting mathematics that will readily engage the public, and then of constructing the perfect context and using it to convey profound mathematical ideas that might otherwise appear dry. Second, she is effortlessly able to transcend audience boundaries and make mathematics both accessible and “cool” to an enormous range of hard-to-convince onlookers. Finally, Hannah has a tremendous capacity for her sheer hard work: the breadth and range of activities that she undertakes, the number of separate media appearances to which she commits, and the widely disparate audiences and age groups that she is able to reach are all eloquent testament to her ability and commitment. Perhaps her most significant achievement is to have inspired a generation of girls in a way that has not been done before. Here’s a selection of news stories about mathematical prizes that have been awarded/announced in the last couple of months. Christian Perfect: 2012 was an alright year. At the very least, all of it happened, which is better than some had predicted. And since 2012 did happen, we are obliged by the Laws of Something to give out some awards. Katie Steckles: Of course, the most noteworthy thing which happened in 2012 was the creation of an amazing mathematical blogging website, but I don’t mean to go on too much about that. Anyway, we’ve gathered together some candidates for some categories we made up, and will decide on our favourites via the process of arguing.